Worldbuilding is a core aspect of speculative fiction. 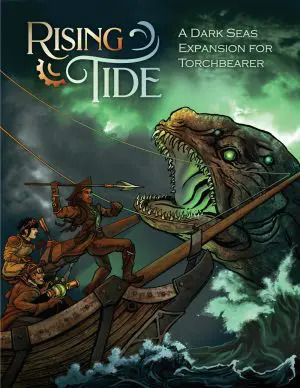 Not only do fantastic worlds provide critical novelty, but they also allow for fun new plots and powerful messages! But when storytellers aren’t careful, seemingly minor worldbuilding details can have major implications. Sometimes, those implications are really dark, undermining the rest of the story. Let’s take a look at some of the more horrifying examples roaming free in the wild. As is standard operating procedure for Narnia, the good guys are supposed to triumph by keeping faith in Aslan, even when Aslan clearly has no idea what he’s doing. But beware, for along comes temptation: instead of relying on Aslan, the heroes could appeal to the White Witch. She’s more Narnian than these Telmarines, after all, and she is certainly powerful. This is a really interesting idea, but of course it’s immediately quashed because Narnian morality tales are nothing if not simplistic. Disappointing, but not surprising. No, what’s surprising is that any of the White Witch’s old followers can bring her back to life at any time. And according to these same followers, this holds true for all witches in Narnia. This opens a number of immediate plot problems. If the Witch’s followers could bring her back, why didn’t they? She’d have made short work of the Telmarines and taken over Narnia again, which is theoretically what they want. But on a deeper level, this means that defeating witches in Narnia is pointless. As long as even one of a witch’s followers escapes, they’ll just work a little resurrection magic, and the witch is back in action. Witches effectively have unlimited lives, so they’ll win every conflict eventually, since they only need to slay their enemies once. This isn’t just a problem with the White Witch either. We know there are other witches in Narnia, and it sounds like they’re all equally unkillable. 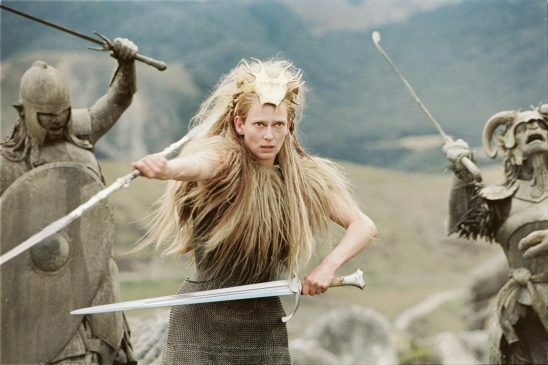 The 2008 film version of Prince Caspian tried to correct this problem by implying that the White Witch could only be brought back through a special ritual involving the blood of kings, but no such limitation exists in the book. Narnia really should be up to its ears in witches by this point. It seems that the Force is one of those things that can only get worse the more we learn about it. First, the prequels introduced the idea that the Jedi wanted to achieve “balance in the Force,” which was obviously ridiculous. Why would you ever want a balance between good and evil? That’s like saying you can’t have ten people without cancer – that’s unbalanced! Better give five of them cancer. But until recently, we could at least make the excuse that this was just a weird idea the Jedi Order had and then chuck the whole thing in the garbage along with the rest of the prequels. Then The Last Jedi came out, and we lost that luxury. In The Last Jedi, we find out that balance in the Force isn’t just a terrible idea, it’s a cosmological constant. Both Luke and Snoke explain to us that when there’s a powerful light-side force user, an equally powerful dark-side user will rise to match them, and vice versa. This just happens, like it was a law of thermodynamics. At first, this just sounds like the light and dark are locked in eternal battle, neither side ever able to win. That’s certainly frustrating, but the full implications are far worse, because the battle itself is bad for everyone. Even when the light side wins, the dark side inevitably destroys a few planets in the process. So the best-case scenario is a never-ending war with billions of civilian casualties. It seems like the only solution to this existential crisis is to abandon the Force altogether, since any attempts to use it for good will only create equally powerful evil. That’s even what Luke is doing, until the film walks back his entire motivation at the end and decides that, actually, using the Force is good. But since the film never deals with the actual issue it raised, so as far as we know, the Star Wars universe is doomed to continue an unwinnable war for the rest of eternity. While it’s hard to say for sure why any given decision is made in a giant film like Last Jedi, this feels like a writer trying too hard to be clever. Someone noticed that in fiction, narratives are conveniently aligned so that powerful heroes arise at the same time as powerful villains and thought, “What if we made that literal?” It gets horrifying, that’s what. Redshirts is a novel that lovingly parodies Star Trek, in particular the original series and its predilection for killing off unnamed security personnel. Our heroes are a group of lower-ranked officers serving aboard the flagship when they notice something is amiss. 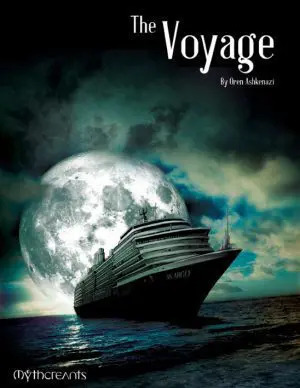 Their ship has the highest casualty rates of any in the fleet, but it’s never bridge personnel who die. The senior staff conjures solutions to complex problems out of thin air, even when they have no relevant expertise. Something very strange is going on! Eventually, after many thrilling heroics, they figure out the truth: their entire universe exists within a television show. The reason people keep dying for no reason is that the show’s writers are lazy and want to create cheap drama. Well, this shall not stand! The heroes quickly assemble some technomagic and travel to the real world, where they give the writers a stern talking to. The writers are naturally horrified. They had no idea they were killing people – they just wanted to get paid! But everything turns out all right: the writers agree not to kill any more characters because that would be horrible. Wait, hang on, I read that wrong: they won’t kill characters, unless it’s dramatically appropriate and makes a good story. Um. I think I see a problem with this. Namely, people are still going to die! Real people with thoughts and feelings who can enter our world if they have the right technology. For some reason, the heroes decide this is fine and head back to their own reality, but that doesn’t let Redshirts off the hook. Imagine how this would work within the heroes’ world. Their friends will still suffer completely unnecessary deaths, but at least they’ll have the comfort of knowing those deaths were super dramatic. They haven’t solved the problem; they’ve just given the uncaring gods who govern them some instructions. This is another situation where the story is taking a narrative trope and making it too literal. Yes, in fiction we can more easily accept a character’s death if it’s part of a meaningful arc. But in real life, we’d still avoid that death if we could, no matter how poignant it might be. By making this dynamic literal, the story forces us to view it through real-life lenses rather than fictional ones. Star Trek’s United Federation of Planets has always been portrayed as a utopia, or at least as close to one as you can get on TV. Not only does everyone have enough to eat and comprehensive healthcare, but the government actually cares about civil rights. The Federation upholds its own standards and does not, as Picard might say, discard those standards when they become inconvenient. While there have been characters who didn’t hold to the Federation’s principled stance, they were always portrayed as exceptions. One such exception is Section 31, a secret society of powerful individuals who think silly things like morality shouldn’t get in the way of Federation interests. They’re happy to use abhorrent tactics like murder and even total genocide if it accomplishes their goals. At the same time, they’re clearly a rogue organization operating without any official sanction. At least, that’s how they were first established in Deep Space Nine. In Discovery, Section 31 is an official organization with stations, admirals, and anything else they could want. They even have special black badges, because of course a secret organization would want to announce who their agents are. Obviously, I do not love this retcon, especially the badges, but whatever. Section 31 is just Starfleet Intelligence now – I could have gotten over it. But then we find out that Section 31 has officially sanctioned extrajudicial powers, and no one bats an eye. When Spock is accused of murder, everyone on Discovery takes it as a given that if they don’t find him first, Section 31 will whisk him off to some black site where he’ll never be heard from again. This isn’t portrayed as weird or unusual, just part of life in the utopian Federation. Except a society where people can be held indefinitely without trial can hardly be considered a utopia by any definition. From the characters’ reactions, it seems like this is something that happens all the time, which makes the Federation little better than our own society in terms of respecting personal liberties. It would be nice for optimistic science fiction to show us a world where it isn’t commonplace for security forces to take people off the street without any due process, but I suppose that’s too much to ask for in a show where Section 31 is basically the CIA in space. The most annoying thing about this is that Discovery’s writers clearly didn’t intend to portray the Federation as a society that abandons its own principles at the drop of a hat. That much is clear from how often the characters wax poetically about how moral the Federation is to the point where they feel that even the most justified use of violence in self defense is bad. No, this horrifying implication came about purely through carelessness. Content Notice: This section discusses the death of animals. That’s a pretty serious claim, so let’s examine the evidence. First, the protagonists meet a blind sailor with a service parrot named Berto who is clearly sapient. Berto is fluent in English and is a skilled sailor in their own right. Plus, they have a sense of humor! So that’s weird, but Berto is only one bird. Maybe they were enchanted by a weird wizard or something. But shortly afterward, we learn that Bait the Glow Toad also understands English. Or at least, he reacts to the characters asking for things like he knows what they mean. In one scene, he’s walking out of the room when a human asks him to stay, so he turns around and walks back. The human’s request did not have the tone or cadence you’d expect when calling a pet; it sounded like a request made to another human. But that’s not all! One of the heroes, Ezran, has a special power that lets him talk to animals. On its own, this doesn’t suggest the animals are sapient, but then we learn his power extends to dragons, which are established to be sapient. That really makes it seem like the other animals he talks to are sapient as well. While this evidence isn’t 100% conclusive, it strongly suggests that all of the animals in Dragon Prince can think and reason like humans. That would certainly explain why there’s a major conflict over the villains using animal parts in their magic. But it would also make Dragon Prince one of the most horrific settings ever imagined. The most obvious issue is that despite how many characters claim it’s evil to use animal products in magic, they all happily eat meat and wear leather. It seems likely that they also use horses to pull carts, feathers to stuff pillows, and so on. Human societies use animal labor and animal products in a lot of different areas, which is all slavery and murder in the world of Dragon Prince. It goes further. Even if every human in Dragon Prince became a vegan and swore off animal products, their society would still be steeped in murder because raising crops kills a lot of animals. In fact it’s pretty much impossible to have an urban or agrarian society without killing animals. * What’s more, animals are out killing each other in the wild all the time. Being an obligate carnivore in this setting doesn’t sound like fun. I honestly cannot tell if the Dragon Prince team created this implication on purpose or not. On the one hand, it seems too horrific to be anything but an accident. On the other hand, their conflict over magic doesn’t really make sense without it, since people who eat meat are unlikely to have many qualms with killing an animal in order to get miraculous healing effects. Maybe we’ll get more information in season three, but I suspect it’ll be left in the background, an implication the writers need but are afraid to fully embrace. It’s easy to get carried away with worldbuilding. There are so many shiny options, and we want them all! But if we’re not careful, seemingly unimportant details can create implications we didn’t want, and then the story suffers. This all works out thanks to convenient Narnian time distortions. Or whatever fantasy language they’re speaking. Please note, this has nothing to do with being vegetarian or vegan, which are both legitimate dietary choices. The point about Star Wars 8 was very interesting, i missed that implication totally – I’m not sure I’m happy with another point against Star Wars 8. It seems that film weirds me out every time I come across it. The Section 31-Part i found one of the weakest parts in Discovery. I don’t like morally bankrupt heroes – or more “supposed-to-be-heroes”. They don’t fit the utopian Star Trek i know and love. Sadly I think the writes find them cool and “edgy” (for lack of better term) and I doubt that the empress will get hers in the end – because she is so evil, yay?. I also don’t trust the writers to handle Section 31 well, i do think they like this evil-spy-organization to much and I fear that they will give them an advantage or have them major players in coming stories. I hope they are done for after seasons 2 or get taken down and driven into exile in Season 3. But I doubt that. 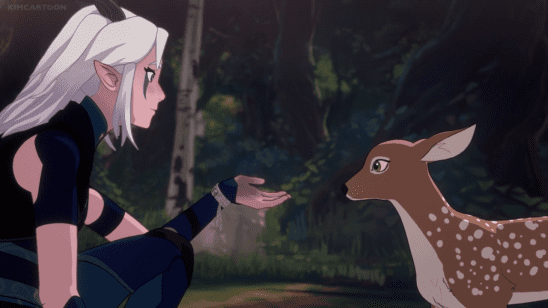 Yeah, the Animal Communication thing in “Dragon Prince” is strange. I found that Animal Communication is often used strangely. Mostly it’s used to make the hero look nicer and a pet or animal companion look cuter – and anything else is forgotten. I have taken to that (a tiny bit) in my fantasy world, where animals are not sentient but the use of Magic allows people to commune with them. So many people don’t eat meat or fish. But there are obligated carnivore species among the sentient folks – so the society has formed a deal: If one want meat they have to hunt it, in the woods with spear and bow, and a skilled hunter will help them to avoid cruelty as much as possible. Same goes for fish and seabound animals. It is not the best solution but a working compromise and a source of contention within my world. Thanks, glad you liked it! I think it’s fairly likely there will be an attempt to show how this version of Section 31 became the version we see in DS9 but I don’t care at this point. Not only are there too many issues to be neatly resolved, but the way S31 is functioning now just doesn’t make sense. You’re absolutely right that it’s part of the current creative team’s super grimdark take on Star Trek, which even they don’t seem to realize the implication of. Dragon Prince is particularly weird cause it’s very specific rather than the normal way fantasy treats animals as maybe a little smarter than they actually are. I feel that dragon prince shys away from the negativ and dark stuff they implying while ATLA at least hinted that thinges were not as clean as presented in the show. I don’t think having agriculture would be a problem in a setting where all animals have human-like intelligence. You have to come to some sort of agreement, set up appropriate signs or whatever around the fields, and then the animals simply stay off the crops, at least when it’s dangerous for them to be there, like during harvesting time. (I think it’s likely that we could reduce the number of, e.g., mice and the like who die in agriculture quite a lot even in our own world if everyone was an animal rightser, thought this was a serious problem and tried hard to solve it. As it is, it’s considered a non-problem. But if everyone involved has intelligence like humans, it REALLY shouldn’t be hard.) You could also have animals doing labour like employees rather than slaves if you could communicate with them. Even if most people can’t understand direct animal speech, there should be ways to solve this. This really seems like a problem you could solve without altering the setting so heavily that it becomes a completely different story (I say this with the caveat that I haven’t watched the show). It would only have needed some thought. That’s a great point, though I suspect you’d still have a problem with obligate carnivors. Dinotopia tried to solve this problem with the idea that herbivores go to get eaten by carnivores when they’re gonna die of old age anyway, though I have trouble believing this would work. Dragon Prince clearly doesn’t have such a society. They seem to practice real world agriculture rather than the sort of treaty agreements you’d expect if the animals were all sapient. As for the “All Animals are Sapient” thing… Take a look at the Flintstones! Flintstones uses animals as machines, but there’s no real suggestion they’re sentient. At least not in the original series. It’s been a while, but I can’t remember that. To me, they never came across as sentient. I think you missed the even worse implication of the white witch. That means there IS a long-term solution to witches, but only one: make sure absolutely none of their followers are left. In other words, genocide them. I don’t think that would even be a solution. I don’t think there would be a solution at all, because what would make her followers dangerous is the idea that she is the solution. Genociding an idea is kind of difficult. All that would be needed is one guy with the know how to bring her back. It’s pretty hard to kill a religion. It’s been tried many times and they just keep popping up with new followers. My thought as well … all it needs is one believer escaping or some kind of scripture to be left behind. The there will be new believers in secret somewhere, biding their time until it’s time to pop up. The point about the Force makes me think about what I consider to be the real problem with The Last Jedi. The deconstructionist take that it used caused a lot of fans to recognize many of the fundamental flaws with Star Wars as a setting, which I think explains the anger that many diehard fans had with it, at least those that were not just using it as an excuse to make negative political points. While this take certainly was interesting at times, and I particularly liked Finn’s story being a deconstruction of the heroic mission that always succeeds even though it shouldn’t, it caused fans to hold up a magnifying glass to their favorite setting, and they didn’t like the results. The article pretty much mentions everything wrong with The Force as expressed here, but similar points can be made about the technology and setting. Resistance bombers and hyperspace ramming were two issues raised by The Last Jedi, with the first being considered dumb and the second raising the question as to why no one has done this before. But then X-wings make attack runs based on the Dam Busters, even though they can make it to orbit in a couple of minutes. The Death Star obliterates a planet with enough force to violate E=MC^2, while fire against ground targets does little more than WW2 machine gun fire. And lets not forget that the Empire uses mechs that get their shoelaces tied. You can complain that Canto Bright(the casino planet) doesn’t feel like Star Wars, but then Star Wars is not actually well defined as a fundamental setting, which makes this an extremely hard judgement to make. Why do stormtroopers ride beasts of burden? I think the other problem with Star Wars at this point is that there is simply more competition, and said competition does almost everything better in pieces: Avatar: The Last Airbender does an approachable western take on eastern spirituality better than the Force, because it is actually possible to have balance between four elements, and because the fighting style actually makes sense based on the physics of the setting, while lightsaber duels don’t. 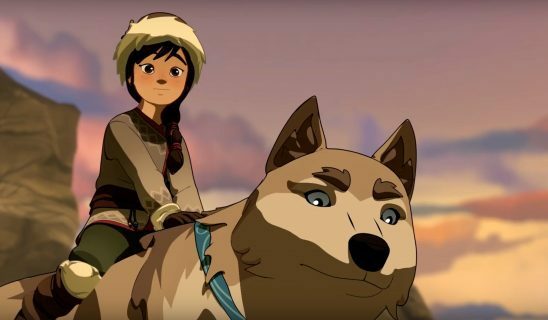 I also think The Legend of Korra was a better sequel, because it gave plenty for Korra to do without making me think that Zuko or Katara failed to make things better than when they started. In terms of space battles, I think The Expanse is currently the gold standard, because they stay grounded in real physics, which makes the stakes much more effective than worrying abstract deflector shields in which we don’t have an easy way of knowing when they will fail. It is also good because it is a setting that sticks to getting a specific thing right, space physics, and allows everything to flow from this and make sense. Mm, Snoke’s assertion that light and dark rise in parallel to each other isn’t really borne out much. Rey and Kylo Ren appear with a decade of each other, and Snoke might think of himself as Luke’s counterpart – but Anakin, Palpatine, or Yoda didn’t apparently have any such. Plus it depends on the idea that Force users are *innately* light or dark, which is contrary to the whole saga. And finally that scene where Snoke says this doesn’t stand as great evidence that he always interprets things correctly. Meanwhile, the vision Luke guides Rey through presents the Force in terms of ecological – and maybe geological (the image accompanying “violence” was of waves) – processes. And that makes the idea of a balance make much more sense, because all those processes are vital to life. What does that mean for Sith? Nothing. The processes that make up the dark side in the vision are still going to total up as evil if you use them as a basis for how you act at a human level. The Sith still have to be fought. And for that matter the Jedi’s use of the light side hadn’t prevented them from undergoing considerable moral atrophy in the prequels. 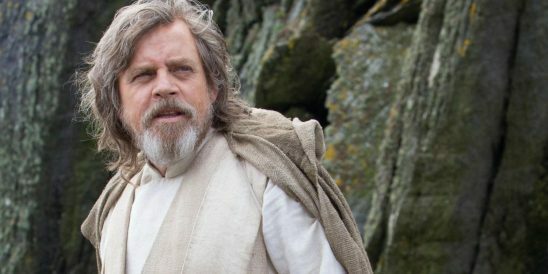 What I hope all this is leading to is a reconceptualisation of the Force based on what Luke showed Rey – that the light and dark sides aren’t defined by human action (dark isn’t evil) and don’t define human action (the Sith are evil because their philosophy is evil, not because they use the dark side) – and a balance between light and dark isn’t the same as a balance between good and evil (with a balanced Force user drawing on both, depending on what serves good ends). The sapient animals thing reminded me of another Narnia issue: that it’s okay to eat animals if they can’t talk. Dang that’s harsh – what if Bambi has laryngitis that day? The hunter won’t know and Bambi becomes roast venison. How many murders do you think were covered up by the excuse “I didn’t know they could talk”? Yeah I thought that was super problematic even as a little kid who loved these books. If you wanna have animals of all kinds of species talking like humans, just make everyone a vegan already! In the real world that would be hard to sustain on a low tech level, since you need to take B12 supplements and stuff, but it really wouldn’t be weird if a fantasy world that already has lots of fantasy species and magic etc also had everyone eating only plants. If you don’t want to turn people off who might go “terrible propaganda!” at you, just not make a deal out of it. Just make it so that no one hunts and no one cooks or eats meat and animal foods in your book. Yes, in a fantasy or sci-fi setting (fantasy for Narnia, of course), it would be easy enough to introduce a couple of plants which produce exactly the kind of supplements which humans would be hard-pressed to get otherwise. And ‘don’t make a fuss’ is a good way to treat it, if you don’t want to turn people off. People are eating and they are healthy, so they obviously get what they need. They never hunt or fish and that’s all there is to it. I haven’t seen the 2nd season of Discovery so I skipped that section, but I have two points to offer when it comes to Trek. First, Redshirts overwhelmingly having the highest death rate is a misconception promoted for memes. 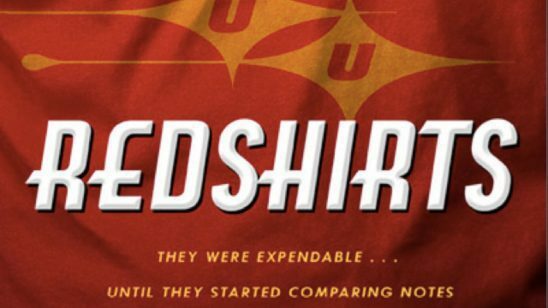 Someone did the reseatch (see http://digg.com/2019/star-trek-shirt-color-death-data-viz) and while Redshirt deaths are 32.3%, Yellowshirts (Command) are 29.1%!! I would hazard a guess here that the colour of the shirt – red – makes it more obvious to the viewer. Second, yes, Section 31 was introduced in DS9, but way it was presented meant that there was a certain degree of deniability, and that Section 31 might have been only one or two characters and whomever they dragged in (like Bashir) to do their dirty work. This is supported by the fact that Cisco – without aid from S31 – manages to do quite well in the skulduggery department himself (bringing the Romulans into the war). If S31 actually existed, why didn’t they contact him directly after that? I would suggest that in fact S31 didn’t exist properly until the ENTERPRISE series and its TIME WAR arc. Everything after ENT can be seen as a divergent timeline. The films claimed that this was because of Spock’s time travel and the idea of a “Kelvin Timeline” was coined, but it’s more likely that the timeline diverged well BEFORE Nemo destroying the Kelvin. And the motivation’s obvious – Trek became a prisoner to its own continuity, and DISCOVERY is an effort to get around that. Honestly, I don’t necessarily mind horrifying implications, because there are plenty of horrifying things in the real world, so fictional worlds don’t necessarily have to be different. The problem comes if they cause the story to make no sense, or they completely clash with what the creators originally wanted. For number 1 – I haven’t read the book in some time, but, in-universe, was it ever proven that the supporters of the White Witch were telling the truth? Perhaps they were simply trying to tempt the heroes. And even they were, did they ever say how they were going to resurrect the witch or the specific means they were going to use? For all we know, it could have even required the heroes’ help (in the context of Narnia, they are special). Of course, this is all just guessing, but think about it in the context of the story – would the supporters have a reason to mention any of these caveats even if it were true? Number 2 – I haven’t watched Star Wars much, but I have heard several people suggest that “light side” and “dark side” may not exactly be “good” and “evil.” Even if it isn’t what the writers intended, it can arguably save the idea. You mentioned that in a situation in which neither good or evil Force-users could defeat the other, the best thing for good to do would be to stop using the Force, which makes sense. But I would say that the idea of an unwinnable, unavoidable fight isn’t necessarily always bad to feature in a story, especially if there is still some degree of progress that can be made even if the ultimate goal is unachievable, or if the story is meant to be horror. Number 3 – I understand what you mean. I do think that there is a lot of potential to be explored in this setup (unless it was explored in the story itself, which I haven’t read). Does creating any work of art mean the creation of a literal world? Could there be a way to exploit this to make the world better by writing about worlds with useful traits? What happens to people who die? Is some amount of suffering necessary for the world to be the best it can be, and if so, what kind? (A lot of people actually debate that). For Number 4 – The message you state also makes sense to me. The depiction contradicts the portrayal of the Federation. Something like that could work if the idea is to show that the Federation is not as utopian as it seems to be at first, but the creators may not have meant it (and the seeming utopia with a dark secret is a bit cliche by now). For Number 5 – I’ll just say that even (especially) in our world, comparing intelligence between species is very difficult, many animals show high cognitive capacities in various areas (and sometimes, it can be equal to or even greater than human capacity), and that it is very unclear whether greater intelligence means a greater capacity to suffer, or even whether the idea of comparing suffering between individuals makes any sense at all. You are correct that humans eating meat, wearing leather, and using nonhuman animals for labor is particularly odd and disturbing when at least some people can talk to nonhuman animals, although perhaps there are agreements involved (maybe you can donate your body after death?) As for obligate carnivores: in the world of the show, are there any obligate carnivores? (In a fantasy world, sometimes even animals that are in the real world can survive on plants). Overall, the idea that “everyone can talk to each other but there’s still a food web” is one that I’ve actually been thinking about in some of my story ideas; it’s disturbing but has been discussed by several previous stories, and as I said in the beginning, I’m not always averse to the disturbing. About 2: Books and comics in the original extended universe (retconned by Lucas when he made the prequels and by Disney when they took over the whole franchise) pretty much used ‘dark side’ and ‘light side’ as ‘evil’ and ‘good.’ Characters falling to the dark side (there’s quite a list in the old EU, it even happened to Luke for a short time) went evil, which was shown in their actions. ‘Dark side’ users were always on the side of evil in the stories – although it was possible to reject the dark side and come back to the light side (or come there for the first time, like one of the enemies in “Jedi Knight” or the protagoinst in “The Force Unleashed” – both are computer games). There were also a couple of groups which used the force without labels like ‘dark side’ and ‘light side,’ such as the witches of Dathomir. I’d say it’s likely that the Force is a neutral energy and it’s very much about what you make of it. The big confrontations in the movies (and quite some books and comics) are always between Jedi and either Sith or Jedi who have rejected the Jedi teachings. And only they seem to use the ‘dark side’/’light side’ labels. The way you describe people’s reactions to Section 31 (ho hum, everyday life, another extra judicial execution is creating a traffic jam, oh, darn) juxtaposed against characters extolling the virtues of their utopian society could in theory be used as a crucible to examine our own normalization of terror, banality of evil, and other such conjunctions. I assume by your complaints that the Discovery writers do not on fact do this. I disagree, however, that it’s careless writing if by “careless” you mean it strains credibility through hasty or poorly thought out reasoning. Unfortunately it seems entirely likely that any society considering itself a utopia would be able to ignore atrocities, justify them or completely relabel them as non-atrocities while still singing the praises of the motherland and her superior culture and way of life over a those infidels who have barbaric practices. All-American ideas include such things as democracy, liberty and apple pie, but also private gun ownership, obesity and capital punishment. Plenty of people have no problem with that. Many people reading this would even fail to see my point. I mean, what’s wrong with apple pie at executions? Everyone knows that executions are a cherry-pie-event. It’s only in the sequal trilogy that the balance is between sith and dark side. To add my own two cents about the Force, everything said about it was through the lens of people who almost certainly don’t have the full picture. I go with “it’s how you use it” crowd and prefer to think of the Force as a natural phenomena that has some degree of self-awareness beyond that of ordinary beings, like an inverse cosmic horror. Light/Dark side could just be an extension of the predator/prey relationship in nature. It’s not bad, just brutal and unforgiving. It doesn’t even have to be pre-ordained. Anikin’s fall was arranged by Palpatine while the Jedi Order were becoming too aloof and over-confident. Palpatine found a blind side of the Jedi and attacked that way. It wasn’t the Will of the Force, it was the grand plans of a ruthlessly clever space-wizard. I’m firmly in the ‘the Force is neutral’ department, which is pretty much the same. The Force itself is neither good nor bad, neither light nor dark. It depends on how people use it. When I was a kid, I remember watching this Disney Christmas special with Donald Duck and his family eating a roast goose and being puzzled by the implications. And how is it that Goofy is an anthropomorphic talking dog, but Pluto is still a regular pet-type dog? I’ve been wondering about that for years.